With 7,800 homes repossessed in 2018, it’s no surprise that we hear from homeowners worried about their house being repossessed. Whilst lenders have been doing all they can to help sometimes it is difficult for them to offer a lifeline. Whatever your situation, your first call of action should always be to talk with your lender first. They may just be able to help and take a lot of pressure away from you. When faced with a repossession notice it always pays to consider all of your options. In the first instance we recommend that you talk with your mortgage lender. They may be able to help you with a simple solution such as a ‘payment holiday’. This could be all you need to get you through a tight period and avoid your house being repossessed. You could ask for a payment plan to be put in place to help you get back on your feet. Whatever you do, be careful not to simply bury your head in the sand hoping your problems go away. To find out more about how lenders now have a duty of care to help homeowners read our latest post here. It is a common misconception that all lenders work the same. The truth is lenders operate different policies when it comes to looking at your mortgage arrears. And as such they treat us very differently. You could also be treated very differently just based on who you talk to at the time. For example, some big lenders will be more helpful than others as they seek to protect their business. This is often an important part of building their bank’s name on the high street so that you and I continue to use them. Other lenders will be actively seeking to reduce their number of outstanding mortgage loans. Often this is as a result of head office being under pressure to drive financial results. It could also be because they have been hit very hard with a number of defaulting loans. 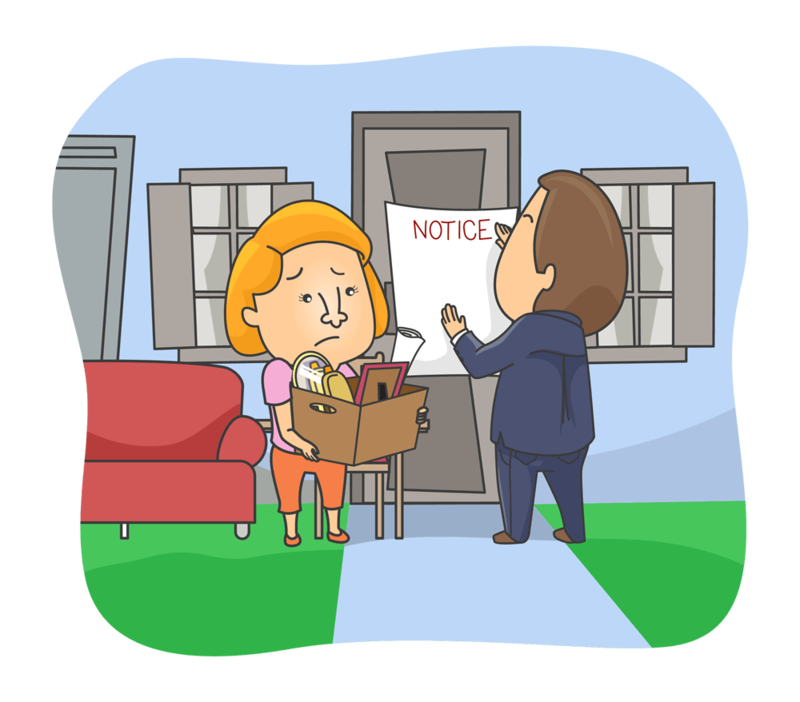 If things do escalate and you find that you need urgent help read our post on how to stop an eviction notice. Up until 2010 it was possible to sell your house and then rent it back but the Financial Conduct Authority soon put a stop to this practice. Whilst some property buyers offered sound rent back schemes others took advantage of homeowners facing financial distress. If your lender is unwilling to help you should take quick action to avoid your house being repossessed. This is when it may make sense to consider selling your house fast. Any Google search will return a large number of companies offering to buy your house fast for cash. But before taking the plunge it is worth taking your time as not all cash house buyers are the same. You could sell your house for cash to a home buying company such as National Property Buyers. We specialise in helping homeowners with a quicker house sale when they need it most such as facing repossession. Our property buying service has been in place for over 20 years now. And we have a good deal of experience in helping homeowners when they are are under a great deal of pressure. The way this works is fairly simple. Provided you have a minimum 20% equity in your house we can usually help. This is important as it allows us to purchase the property at a discount in order to generate a profit on our investment. It is also important to know if you have any additional loans secured against your property as this can affect our ability to buy. As professional homebuers we must be able to settle all debts registered against your property. Without knowing this information our service simply may not not work. Provided you are happy to accept a discounted offer we could buy your property in just 28 days. As trusted homebuyers we are one of a few companies that buy houses in a fully transparent manner. This means that you can relax safe in the knowledge that we will do all we can to help. Our business is all about being transparent should you look to sell to avoid your house being repossessed. From our initial contact with you right up to the final day of completion we will be open and honest with you. We will share with you the results of our research into comparable prices for your property together with full details of the survey carried out by a Royal Institute of Chartered Surveyors valuer. These two points alone will be the driving force behind our final offer and we think it is only fair that you should have a copy too. We will never charge you any fees or tie you into an unfair contract to sell your house fast. And finally, you are in full control as you are free to pull out of the sale of your property at any point up to completion day at no cost to yourself. Selling your property fast to National Property Buyers is a simple and straightforward process thanks to the systems we have in place to avoid your house being repossessed. You can find out a great deal more about how to stop repossession on the Shelter website.